As I witnessed this glorious event, I was overwhelmed with a sense of peace. The troubles of the previous day being washed away with every wave. The day starting anew and my spirit revitailzed. 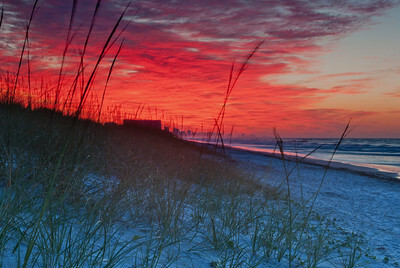 Taken on the beach in Myrtle Beach, South Carolina before sunrise. My last couple times out at sunrise I had arrived a little late, just in time to catch the sun crossing the horizon. I was determined not to miss the magic on this morning. 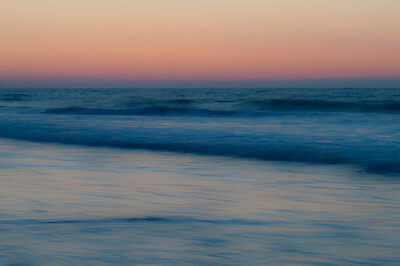 So I set my alarm for an hour before sunrise and headed down to the beach and waited. It was certainly worth the effort because about 20 minutes before the sun rose I was treated to a magical scene. For a brief moment the sky was set ablaze as if the beach in the distance was on fire. I was in awe as I witnessed this glory of nature. 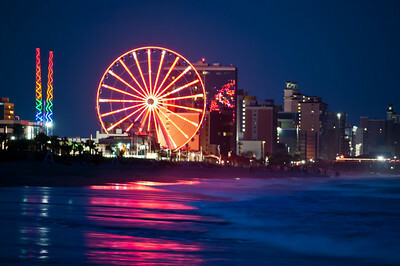 The heart of Myrtle Beach, SC is Ocean Blvd. 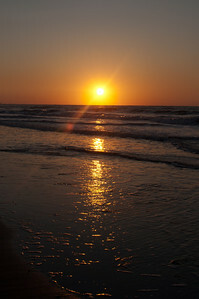 As the sun sets the lights come on and the beach comes to life with an air of vibrancy and excitement. 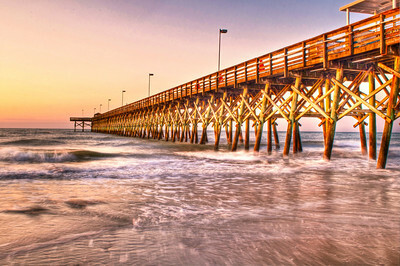 Back at the 2nd Ave Pier in Myrtle Beach. The beach at night is one of my favorite places. It so peaceful and quiet, quite a difference from the action and excitement of the beach during the day. 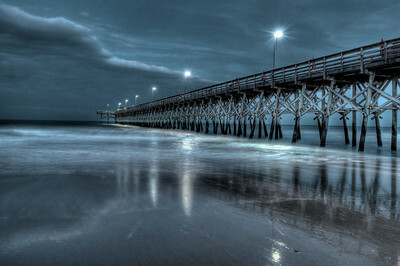 Taken at the 2nd Ave Pier in Myrtle Beach, SC. 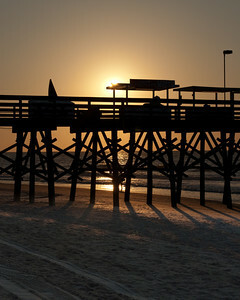 The pier awakens as it is greeted by the sun. 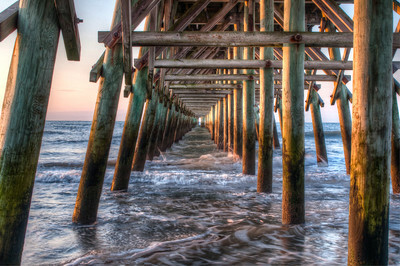 Underneath the 2nd Ave. Pier in Myrtle Beach, SC. 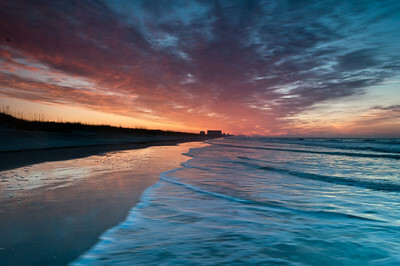 Morning arrives over the Atlantic in Myrtle Beach, SC. 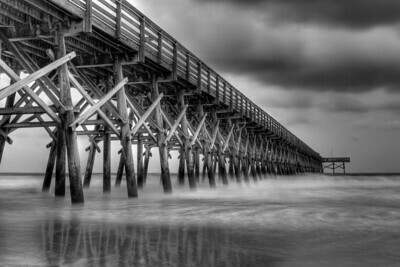 Taken at the 2nd Avenue Pier in Myrtle Beach, South Carolina. 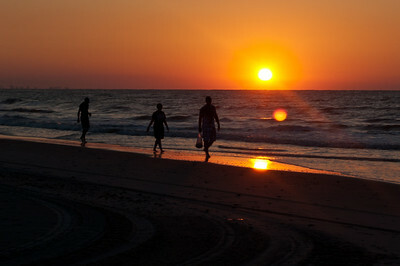 Hunting for sea shells is an early morning pastime of many in Myrtle Beach. 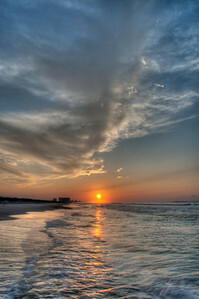 The paint brush in the hand's of God as witnessed on the beach in Myrtle Beach, SC. 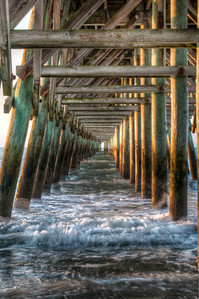 Another view of the 2nd Avenue Pier in Myrtle Beach. 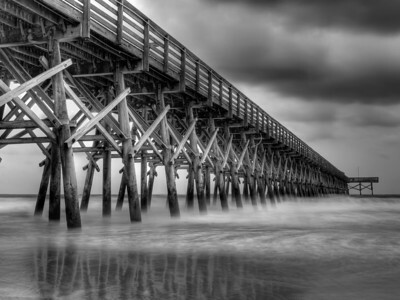 From this angle and thiese lighting conditions this pier conveys the feeling of strength to me. 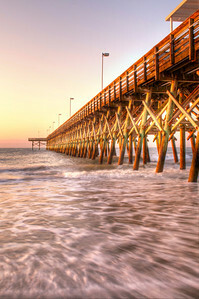 Taken at the 2nd Ave Pier in Myrtle Beach SC. We went out to shoot a sunrise at the pier instead we got a rainy, gloomy morning. Sometimes you have to just go with what you are handed. 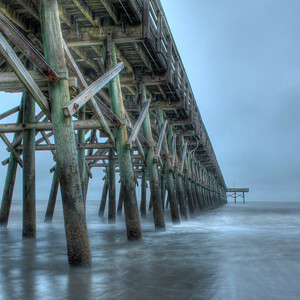 I ended up likng how the mist formed at the bottom of the pier. It really adds to the gloomy almost spooky feeling. 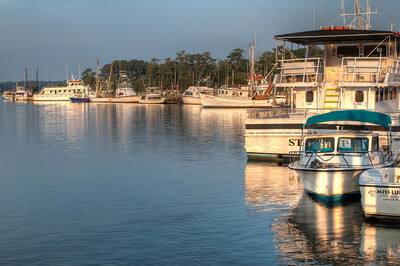 Taken on the Calabash River in North Carolina. 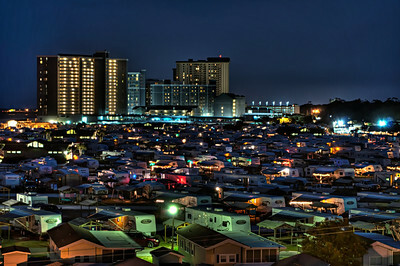 The back of our condo building where we stay on vacation in Myrtle Beach overlooks a trailer park. I have always loved the colors of the park as darkness falls and the lights come on. Watching a sunrise at the beach is inspirational. What a glorious way to start the day. 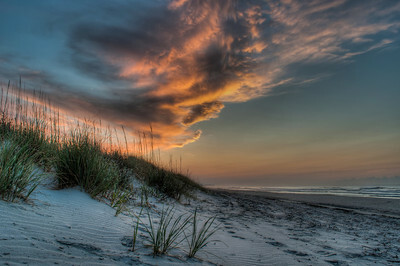 Not much else in this world is as awe inspring to me as a beach at sunrise. I am always overcome by the beauty of nature. When I am standing in this place I am at peace with the world.